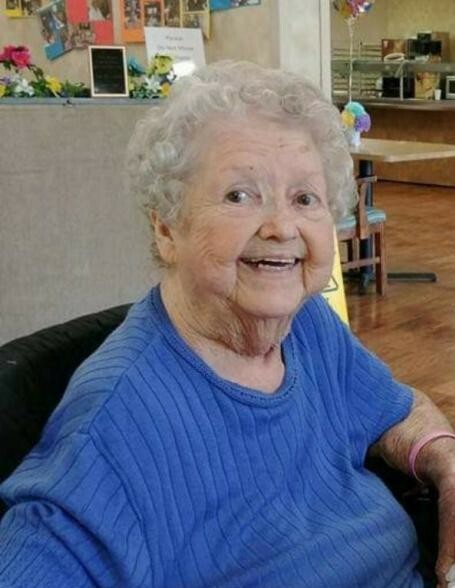 Laverne Spivey Deaton, 79, formerly of Troy, passed away on Thursday, January 24, 2019 at FirstHealth Moore Regional Hospital in Pinehurst. A funeral service will be held at 3:00 p.m. Saturday, January 26, 2019 at Tabernacle Baptist Church, officiated by Rev. Mark Harper. Burial will follow at Dover Baptist Church Cemetery in Seagrove. Visitation will be one hour prior to the service. Born February 16, 1939 in Montgomery County, she was the daughter of the late Jessie Lee Spivey. Laverne was a faithful member of Tabernacle Baptist Church. She was an Office Manager with Maxway and she and her husband, Reece were longtime owner operators of Deaton’s Tackle Shop in Troy for many years. Laverne loved gardening, working puzzles, crafting, mystery novels and she was an avid reader. She is survived by her grandchildren, Ronald Reese Deaton (Samantha Cranford) of Mt. Gilead, Heather Christine Deaton Lamonds (Matthew) of Star, and Claudia Deaton Stewart of Troy; their mother, Sylvia Christine Morris of Mt. Gilead; and two great grandchildren, Gabriel Stewart and Faith Lamonds. She was preceded in death by her husband of nearly 30 years, Reece Deaton and her son, Ronald Leon “Dink” Deaton. Memorials may be made to Tabernacle Baptist Church, 412 Bell Street, Troy, NC 27371.